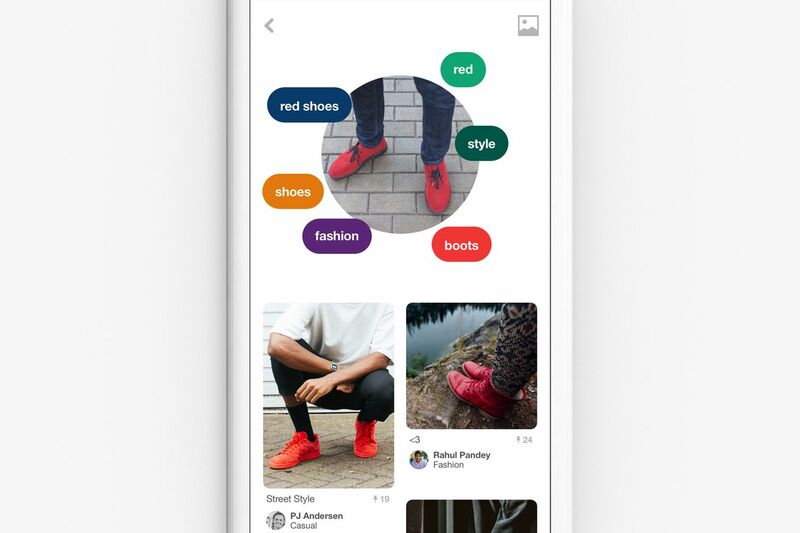 Pinterest today introduced Lens, a new visual search tool that uses machine vision to detect objects in the real world and suggest related items on the service. Lens, which is now in beta, is a tool inside the Pinterest mobile app that functions as a kind of Shazam for objects. Point it at food, furniture, or even the night sky, and Pinterest will return objects that it believes are related. In a demonstration, Pinterest co-founder Evan Sharp used Lens to detect a pomegranate. Pinterest returned results for pomegranate bread, pomegranate sandwiches, and tips for peeling pomegranates. He described a second use of Lens in which a boy held his phone to the night sky, and Pinterest returned a variety of nighttime landscape photos.